Having recovered from the shock of receiving the notice of compulsory acquisition, there is then the realisation that one must accept it. It is not without good reason that the area of compulsory acquisition is grounded in the doctrine of eminent domain. Even the very term “eminent domain” conjures images of an all powerful actor exercising dominion over what a person owns, completely oblivious to the person’s wishes and plans. Words like, ”expropriation” and “seizure” come readily to mind. The right of the government to compulsorily acquire lands in Barbados is established in a pre-independence statute, the 1949 Land Acquisition Act. There is no doubt that without this power, it would be near impossible for a government to easily obtain lands necessary to do many of its capital projects, whether for construction of roads and highways, or the providing of housing and civic facilities. However, no matter the salutary purpose of this power, and the fact that the citizen must be compensated for expropriated lands, it is still difficult for a citizen to accept a government’s exercise of this power. What can the citizen do, in the face of this power? It is possible to challenge the acquisition on the basis that the purpose for which the land is acquired is not a public purpose. However, with 60 years history of compulsory acquisitions in Barbados, and the experience of many jurisdictions across the globe, the prospects of a successful challenge on this ground are very remote. As a concept, what is a public purpose is now so well defined, that there is little likelihood of the government falling short in this regard. The citizen might use a little noticed provision to fight back. One of the major difficulties with compulsory acquisitions is the way in which they drag on for inordinately long periods of time. The statute provides that where, within 3 months after the government has entered onto the property the acquisition has not been completed, the owner can serve a notice requiring the government to either complete the acquisition or abandon it. If it is not completed within that time, the acquisition is deemed by the statute to have been abandoned. Of course, this relief might seem illusory, as it is always open to the government to start the process all over again. However, in the face of numerous complaints over the years of protracted acquisitions, the ability to put pressure on the government to act with dispatch is not only appropriate, it is necessary. Having surrendered all hope of challenging the acquisition, the most important issue for the deprived owner is the amount of the compensation that he is entitled to receive, and whether he has a role to play in setting the amount. The rules relating to compensation are complex and therefore, only a sketch is provided here. The amount of compensation to be paid to the owner is based on the market value of the land – that is, the amount that might be realised on a sale of the land on the open market by a willing vendor. Of course, there now being no willing vendor nor willing purchaser, it stands to reason that the matter must be resolved by having recourse to a valuation. The standard approach would be to value the land as it is at the relevant date. Unhappily, for developers or other investors in Barbadian real estate, this approach will not take into account the probability of the more profitable use of the land in the future. This is most regrettable, as in most cases, the initial investment in the real estate would have been made with a view to its development potential. In fact, planning permissions may have already been applied for and obtained. To exclude the possibility, or even the reality, of the land being used for developmental potential to be taken into account would obviously be a hardship to a landowner. The issue has been considered in our courts and unfortunately the Court took a rather narrow view of the way in which the statute should be interpreted. In the UK, it is a well-established principle that the development potential of the land must be taken into account in arriving at the market value. This approach therefore would take into account the value of any planning permission that the developer might have obtained, though it goes much further than planning permissions in hand. It actually requires an assessment of the purpose the land is capable of being put in the future. Clearly then there is a case for reform in Barbados. There is no doubt that a planning permission is a property right, and as a property right, it serves to augment the value of the land to which it relates. One might even argue that to acquire the land and not to compensate for this “value added”, would be to further deprive an owner of property. Of course, it is advisable for an owner to have the acquired land valued and the cost of this valuation is reimbursed by the government. One must move with some dispatch as well, as the claim for compensation must be made in writing within 2 years of the service of the acquisition notice. 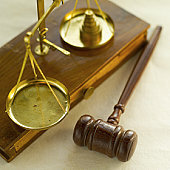 Where no agreement can be reached, recourse to the courts is available in an expedited manner. It would seem that the proverbial decks are stacked against a citizen whose property is acquired. One would not only have lost what is taken, but the land that is left is often diminished in value. On the positive side, the government tends to be reasonable in its acquisitions and as a power, it is one that is sparingly utilised. As Barbadians, we can generally see the positive results where lands are compulsory acquired and more often than not, we are pleased with the outcome. And sometimes, the citizen will triumph! In recent years, one aggrieved owner was successful in having the acquisition of his land quashed by the Courts in 2001 on the basis that the acquisition was an unreasonable exercise of the power to acquire land compulsorily! In that case, the Court found that the government failed to take into account, among other things, the damage to the character and amenities of the rest of the property to the owner, as well as the availability of at least one suitable alternative site. Mr. Michael Alleyne graduated from the University of the West Indies in 1990 and was admitted to practice law in Barbados in 1992 after completing his practical training at the Hugh Wooding Law School in 1992. He completed his postgraduate studies in International Environmental Law at the University of Nottingham, UK in 1999. Mr. Alleyne has had over twenty-seven (27) years experience in the Barbados public sector with the last eight (8) at senior management level at the Land Registry culminating in his appointment as Registrar of Titles. During his tenure as Registrar he served as a member of the Land Transfer Committee of the Barbados Bar Association. He is also an Affiliate Lecturer in the Centre for Resources Management And Environmental Studies at the Cave Hill Campus of the University of the West Indies on Environmental Law and its Administration.